Ø Last year when visiting Karachi, the billboards were that of the telecom companies and the financial services. This year the broadband companies like PTCL and Wateen have taken the lead. Ø So there’s a definite paradigm shift happening which many people are not aware of. Ø An idea however brilliant it may be is not enough. Ø A profitable business model, venture capitalist, and consumers with a need all of that is essential. Ø Pakistan has a reported 20 million internet users, but where are the start-ups to capitalize on this huge market? Ø There’s a Connect & Develop Hub in India but not in Pakistan. Ø If you have a great innovative idea, submit it on www.pg.com. Ø Trade accounts for 30% of Pakistan’s GDP. It accounts for 38% of India’s GDP. Ø Pakistan have historically been used as a backyard for the world’s superpowers for their own interests. Ø Cotton yield per acre in Pakistan is far less than India’s. Ø The minister is predicting 20% growth in the textile sector. How to achieve it when there’s a 14% slump in global sales? Ø There ought to be a roadmap. People need to be taught how to grow more with less. Ø Pakistan has become the third largest rice exporter in the world beating both India and the US. Ø Biryani Festival in numerous cities all over the world like Johannesburg, Dammam, Amsterdam has been used as a marketing strategy to brilliant effect. Ø Wheat thrashers used instead of rice thrashers which reduce yield as much as 25%. Ø Export has gone exponentially from 300 million to 6bn in just over 5 years. Even 10 billion can easily be attained if the government provides support. Ø We need to know the rules and follow them diligently. We continue to live in our own small pond and think we are the ‘Magar Mach’ (Crocodile) of that pond. Ø Forte of Pakistani cotton is its ruggedness. It may not be of pristine quality like the Egyptian cotton which is grown on the banks of the Nile and as such has ample amount of water available. Ø The same cotton cannot be grown in Pakistan because of the water issues as well as the fertility of the land. Ø While the Egyptian is ideal for making premium segment clothing, Pakistan’s is good for making bedsheets. Ø The $25 billion target to be announced later today in the Textile Policy is a fantasy because we don’t have the port capacity to achieve it. Unless we increase the value of the existing export by a factor of 4 or 5 which in the current competitive environment is virtually impossible. Ø The $25 billion export target is not unrealistic. It may not be achieved in one go, but over a period of time it can be attained. The thing to remember is that we need to set ourselves stiff targets to make utmost use of our potential. Ø I was supposed to comment on the state of the financial system, but what can I say? It’s all been a shame the way the world financial system collapsed and still is in trouble. Ø Pakistan’s banking system was spared the agony because it is still a first generation system unlike the two-tier and three-tier systems of the West. Ø Just 30 exporters out of a 1000 rice exporters account for 25% of the total rice export. Ø One single exporter operating from Karachi exported 300,000 tons out of the total 3 million tons alone. Ø Pakistan have the best basmati rice in the world. This has been acknowledged by the foreigners themselves. Ø Will begin with a story about our founding father Muhammad Ali Jinnah. Ø It’s the Ritz Hotel in London where many of the world leaders are gathered for some summit. For three consecutive nights, the hotel manager saw that the light of one room remained switched till late in the night while everyone had gone to sleep. This was Jinnah’s room. On the fourth night the manager went to inquire whether everything was alright and why Mr. Jinnah could not sleep while all the other leaders were asleep. Jinnah said that all the other leaders were asleep because their nation were awake- I have to be awake because my nation is asleep. Ø So it’s high time for us to wake up before its too late. Ø Only 11% of the population in Pakistan have access to financial services. Ø Only 4% of Pakistani women have access to loans or any form of financial services. Ø 89% of the total population is branded as unable to run business. Ø This is an economic apartheid. Ø <;/span>89% of the population translates into a huge marketing opportunity for the financial service providers if they are shrewd enough to capitalize on it. Ø Jeffrey Sachs once said about micro-finance that it is not a zero-sum game, it can be a win-win situation for all the parties involved. Ø One of the key principles of our micro-finance system is that the bank will come to you instead of the customer going to seek help and it will remain in constant contact throughout. Ø Pair collateral introduced – two or three people will vouch for each other. Ø If you liberate the woman – you liberate the man. Ø Kashf Foundation started out in 1996. It has a customer base of around 1000 clients now. Ø Poor people have needs as well, so consumer loans are being offered to them. Ø The Madadgar Loan is one such product of ours, which is an emergency loan available within 24 hours up to Rs. 4,000. Ø Home improvement loans were also being given but have been discontinued due to the recession. Ø The poor also need health and life insurance and we have worked with some of the conventional insurance providers to facilitate these insurances for the poor. Ø Solar energy is going to be covered in one of our products in the future. Ø Kashf Microfinance Bank has now been set up in which virtually anyone can open a bank account with as little as Rs. 5 min deposit. Rabia Garib, the editor of CIO Pakistan, introduces the panelists and asks them to say something about their line of business. Ø Six years back returned to Pakistan from the US. Ø Primarily involved in start-ups in the Valley during the dot-com boon. Ø People predicted that I’ll pack my bags soon enough. Ø Engro gave a job ad in the newspaper for a staggering Rs.900,000. Ø Engro gave an ad on Rozee for a mere Rs. 15,000. ØEngro was able to hire 145 people solely through Rozee.pk. Ø Cost of recruitment from rozee.pk = Rs. 4 per person. Ø Cost of recruitment from the newspapers = Rs.900 per person. Ø Pakistan ranks third in the world for having the fastest growth of internet users. Ø Previously working for Yahoo in the Middle East. 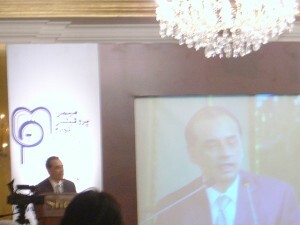 Ø Came back to launch the first digital ad agency in Pakistan. Ø Previously was the director of KIIT (Karachi Institute of Information Technology). 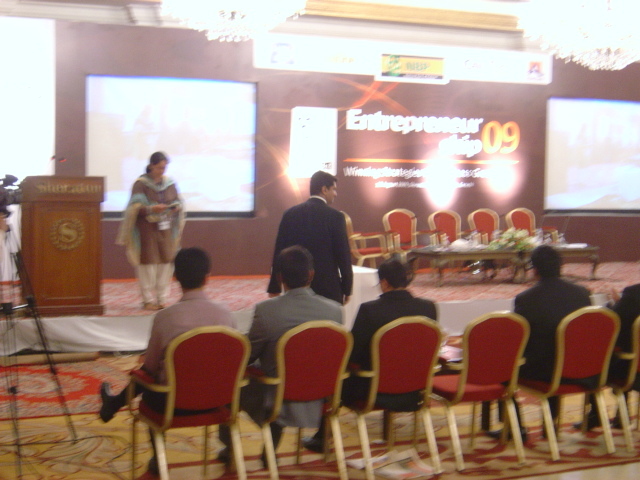 Ø MIT Enterprise Forum was formed in conjunction with MIT University USA. Ø It was conceived to help the fledgling entreprenurs of Pakistan especially in the field of IT. 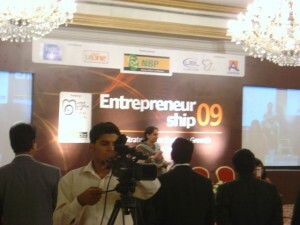 Ø 9 out of 10 start-ups fail, and to reduce that number, Tech Angels network is formed to provide support to start-ups. Ø Business Acceleration Program is a Business Plan Competition started to bring out the entrepreneurial spirit of the youth. Rabia Garib: Badar could you please explain how you fit into this panel of entrepreneurs, and how Google fits into all of this? 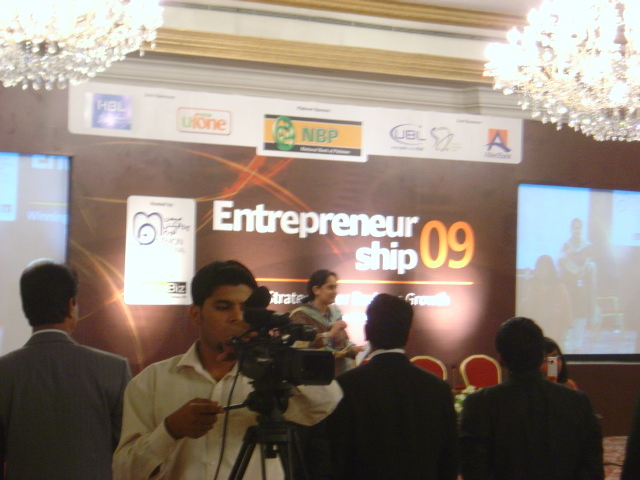 There are three ways in which Google is contributing to entreprenurship in Pakistan. 1. 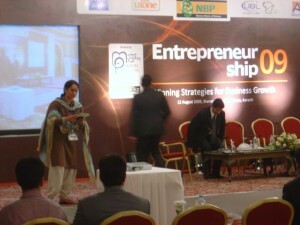 Gmail providing the technical platform for entrepreneurial intiaitives like Rozee.pk. 2. Marketing – Google sponsored ads are a common feature of most IT start-ups. 3. Social entreprenurship – Google has empowered people irrespective of their age, gender, race or education to earn substantial sums of money if they have valuable content to contribute. Ø Higher Labs came to Pakistan instead of going to India or Egypt which were amongst the plans, just because of the plethora of talent available in this country. Moderator Q: Why investment is needed for an IT start-up? Can’t it be started with zero investment? Monis Rehman: There’s substantially less investment required than their brick-and-mortar counterpart but still needed. An entreprenurial eco-system comprising of universities, entrepreneurs and the government is needed to cultivate and sustain this culture. Ø There will be some entrepreneurs who will come with initiatives to solve problems within this eco-system like mobile payment. Ø Coming back to the question, it depends upon the type of entrepreneurship. Some entrepreneurial initiatives like blogging and consultancy work online can be launched with zero investment. Ø There are quite a few people in Pakistan who haven’t invested a single penny and yet are earning thousands of dollars. Moderator Q: How exactly do you earn money? Adil Ahmed: By offering services to the clients and charging a percentage to them. Adil Ahmed: I doubt the figure of 20 million internet users in Pakistan is bloated. There’s no authentic data to support this claim. Monis Rehman: We’ve had 4.2 million distinct users on Rozee.pk as reported by Google Analytics, so at least this much user are online for sure. Moderator Q: Why so many start-ups fail to make it? Saleem Qureshi: This has got to do with the fact that it is inherently risky to start a business, any business. Coming up with an idea, we all come up with hundreds of ideas every day. Moving that idea into the development stage is tough. Moving from development to execution stage is tougher. Execution to implementation stage is excruciatingly difficult. And earning your first dollar as a profit is next to impossible. No wonder 9 out 10 start-ups fail to make it. Audience Q: Since morning we have been discussing the glory of entrepreneurs in Pakistan or the family dynasties. Why aren’t we discussing the failures and how to avoid them? I myself am a failed entrepreneur. I went into cattle farming and didn’t know the most important element of it was the vet. But getting access to a vet was extremely difficult and so decided to skip it entirely which cost me dearly. No one was there to guide me. Now I’m teaching entrepreneurship to students and whenever I ask them to come up with an idea for business, 90% of them want to open a food chain or do something related to IT. Why don’t you discuss something that will really help those people wanting to go into entrepreneurship avoid failure? Monis Rehman: Failure is good. We all fail and that counts as experience. I was fired from my first job as a waiter at a restaurant. My kid is just learning to walk. Everytime he falls, he learns how to better deal with gravity. The thing is, those who want to do it will do it anyway even without a system in place or a proper support infrastructure. Most of the people present here especially on this panel did it without any of those things. So instead of waiting for a proper system to develop, do what you have to do. There’s this young mother in Lahore with a one-year kid Maryam Nasim. She works just two hours at night designing greeting cards for 123greetings and bluemountain through online correspondence and earns $2,000 per month. She doesn’t even have a bank account and receives her money through Western Union. She also runs a site called www.pinkwool.com to showcase her work and promote her small consultancy business. Then there are lots of bloggers who are earning substantial amounts of income, two of them Munir Usman and Salman are right here in the audience. Monis was able to secure funding for his business at one of the lowest ebbs in the history of Pakistan. The story goes something like. A prominent hedge fund from the Valley was interested in investing in my business. I was delighted at this. Then it got ugly in Pakistan, what with the Constitution suspended and the leaders being assassinated. The firm got fidgety about the situation. Meanwhile I was able to some other prominent firms interested in us as well. At the end of the day we were able to secure the funding because it made business sense to invest in us. So make sure you’ve got a solid business model and don’t worry about the ground reality too much. What we have witnessed today shows beyond a shadow of a doubt that there’s hope for Pakistan. Pakistan is not a failed state and that if we work collectively we can convert our individual brilliances into prosperity for our country. Pakistan is not going to fade away. Let’s pray to Allah that He gives us the strength to make the dream of a great Pakistan come true. It was an august occasion (no pun intended) and one of those rare occasions where some of the biggest movers and shakers of the Pakistani enterprises gathered in one place. It was awe-inspiring how much the Memon community has accomplished and what giant leaders they have, but if that’s not what you came to hear, then you would be disappointed, as was evident from the remarkable decline in the strength of the audience by noon. It was a packed house in the morning. After lunch, approximately 45% of the people had left, as if lunch was their sole motivation for attending this conference. Two young professionals I met, Usman and Hussain, expressed their disappointment at the contents of the conference, saying this wasn’t what they had in mind when they signed for this conference. No doubt they had left well before the conclusion. It wasn’t that the conference wasn’t good enough or anything. 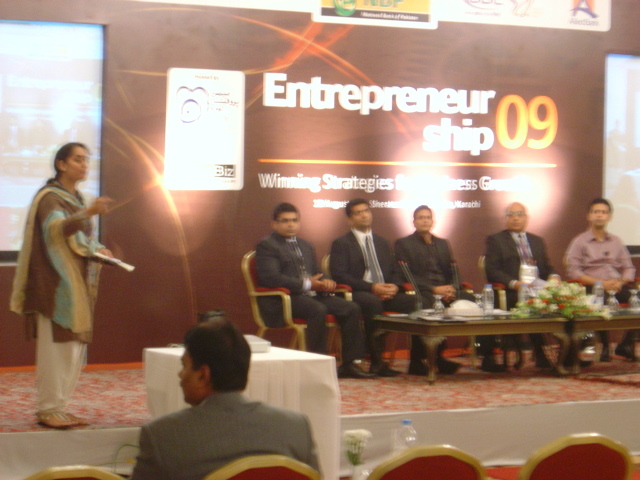 It’s just that the branding of the conference was all wrong, especially the title- Entrepreneurship ’09 : Winning Strategies for Business Growth, when instead it should have been called : ‘Role of Memon Community in Entrepreneurial Initiatives and Effects of Globalization’. This has been a sad story of most seminars and conferences that are being held these days. In order to attract the largest possible audience, the organizers come up with snazzy terms that are in vogue. Unfortunately, what they don’t realize is that if the audience don’t get what they came for, they’re not going to return for any other conference by that same organizer, having lost the trust. It’s one of the simplest laws of branding that you can’t be everything to all people. The shotgun approach just doesn’t work if you’re serious about building an enduring brand. In the case of this conference, not even one speaker could give a single winning strategy for business growth. Of course they all talked about taking your brand global, but then most people already knew it without having to attend this conference. Then coming to the central theme – Entrepreneurship, even here not a single speaker could narrate his experience of how he went about building a great enterprise, what were the pitfalls he faced, how many times he failed and what exactly worked for him. ü Time it took me from starting out to earning my first Rupee as profit. ü Amount of money I started out with and from where and how did I raise the rest of it. ü 5 pitfalls to avoid when starting out in this line of business. ü What skills you need to succeed in this line of business. ü 5 resources that you should turn to for help in this trade. A framework such as this would have given the speakers a clear direction to follow and the best way to share their invaluable insights with the people who had turned up to learn from them. For example, it’s amazing what Razzak Dawood has done with Descon and it was only Salim Raza the governor of SBP who revealed this to the audience. Couldn’t Razzak Dawood himself shared how he made Descon a global force to reckon with? The bottom line is that the Entrepreneurship ‘09 was good, it was well-managed (the lunch could have been a whole lot better especially the olive-and-fish dish) but it wasn’t what it was projected to be.